"There was absolutely no regret going to the Intake Dam. I wasn't born during the Japanese era but for this adventure, I can now slowly, but surely understand how the Japanese people managed our country during those times." 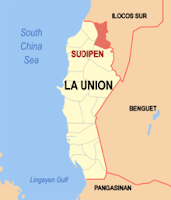 Heard about the town of Sudipen? 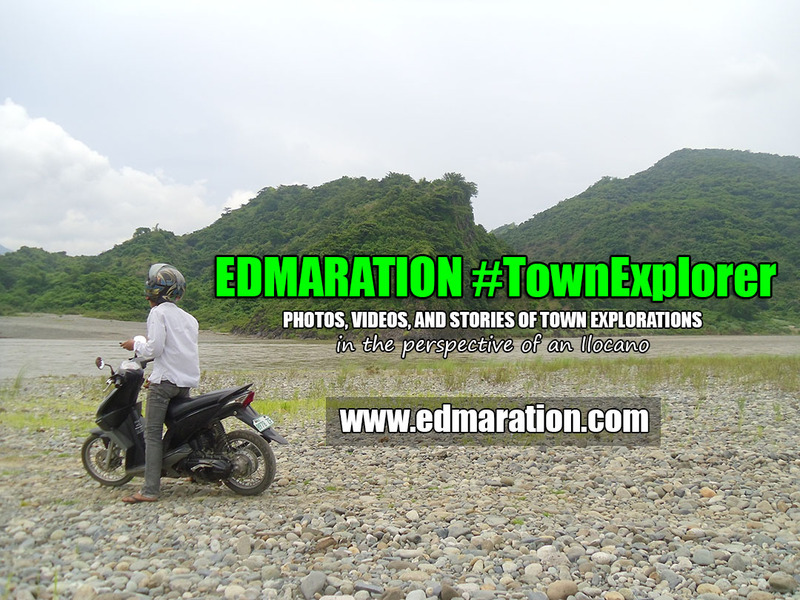 It is the last town in La Union if you are traversing the Maharlika Highway going up north. It was a shame on me underestimating towns that are never heard of offering a piece of adventure and thrill. I explored, did seek, and asked the locals on where can I have an adventure in this little town and they were just the living answers to my thirst for adventure. This is what I love. Exploring towns unknown to many on which at the end of the day, the things being discovered are just surprising. I hired a tricycle in front of the Public Market of Sudipen and asked the driver, "Kuya, gaano kalayo 'yung Intake dam?" (How far is the Intake dam?). The driver faced to the north and he also requested me to face on the same direction and I was wondering why. "Can you see that mountain?," he said, pointing to a mountain at the northern direction. Now I know why he let me face to north. I didn't mind what he was pointing that time because I was preoccupied on how much he will charge me for this tricycle ride but I can actually see some mountains up north and I know, one of those mountains is my next destination. 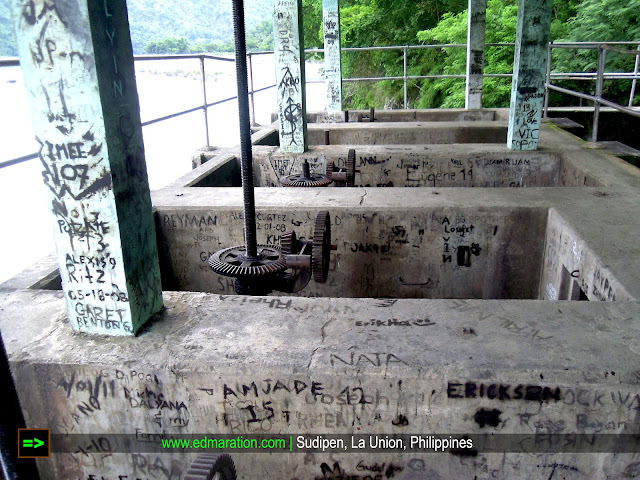 Intake Dam is an irrigation facility that is built during the era of Japanese colonizers. It was built from 1920-1925. Going to Intake Dam wasn't as easy as ABC. It was a 20-minute trike ride, and another 15 minutes of trekking to reach the place. I was surprised with what I saw - vandalism was all over. It was not a good sight, however, what lead me to this place is to see and feel the essence of this historical landmark. It speaks of our history. The Japanese made it during the World War II. Today, it helps a lot of farmers in Sudipen because it serves as a big aid in irrigating their farms. 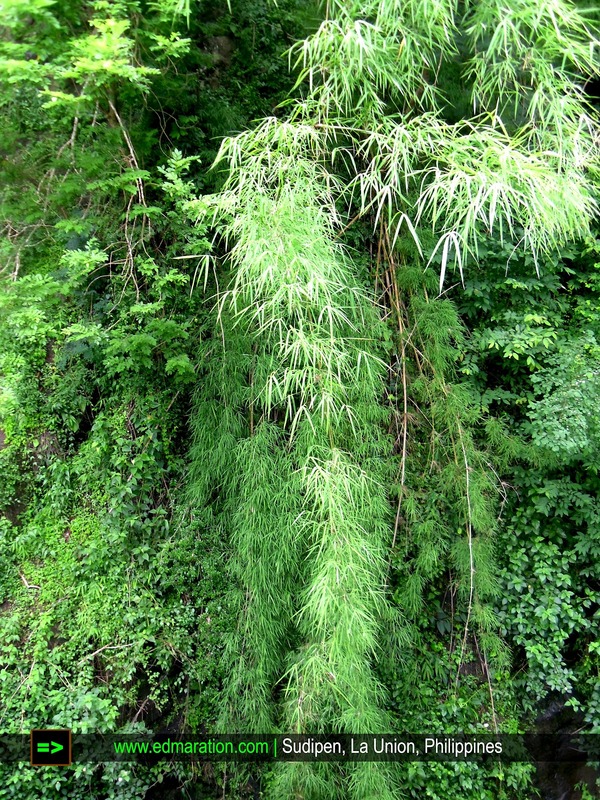 It was constructed at the edge of a mountain where the Amburayan River flows. The trike driver who guided me to the place told me, "Wait, I am afraid on going further, just go with caution." It was indeed fearsome. Since I have some degree of fear for height, my knees trembled as I step on a narrow beam while handling the camera. One mistake move, I can fall down to the rocks below then slide to the river. Good thing my guide warned me, I just went too excited without observing some caution for myself. Above the dam is a refreshing scene. The rock above this dam is filled with healthy plants enjoying the moisture and balanced ecosystem of the place. The dam has an underground tunnel about 1 kilometer in length and imagine that! If you are not an engineer you could simply say OMG! There was absolutely no regret going to the Intake Dam. I wasn't born during the Japanese era but for this adventure, I can now slowly, but surely understand how the Japanese people managed our country during those times. The Japanese people invested for high-quality infrastructure projects that is truly "Japan-made." Unlike some Pinoy-made roads, bridges and dams (made from corruption, then becomes useless after a decade), this Japanese Dam is still existing considering it is almost century-old. The "Japan quality" remains. Traveling is such my favorite subject. We live in a world filled with information. I believe education is not limited within the four corners of the classroom, it is practically everywhere. Because of exploring, I learned about the Intake Dam - a place on which even Google can not provide comprehensive information and photos. Since Google is limited, I tried to see it for myself and for this blog post, I hope I can help Google provide an additional information. 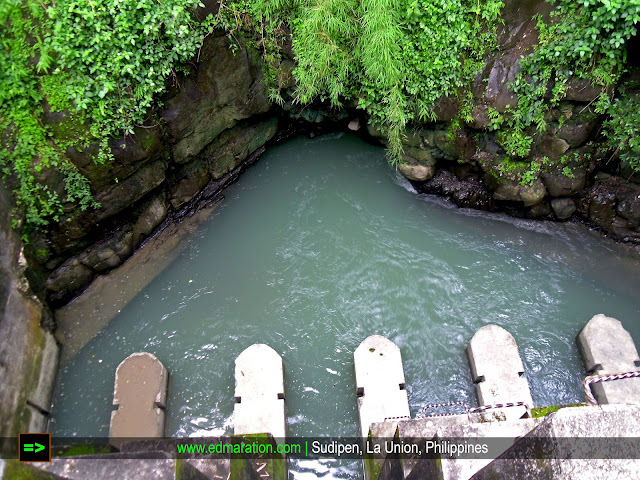 How to Go to Sudipen, La Union? 1. Take a north-bound bus going to Vigan, Abra or Laoag. 2. Drop at Sudipen Public Market. 1. From the Sudipen Public Market, hire a tricycle or a habal-habal (Motor). 2. Negotiate for the price. 3. The ride could last for 20-30 minutes. 4. If the tricycle can not lead you further to the dam due to road issues, you may need to trek for about 15 minutes. 5. Hire a driver who knows how to go the site and who is willing to guide you in going to the site. Fare for the hired tricycle, from Sudipen Public Market to Intake Dam and vice versa. This was quite an adventure. 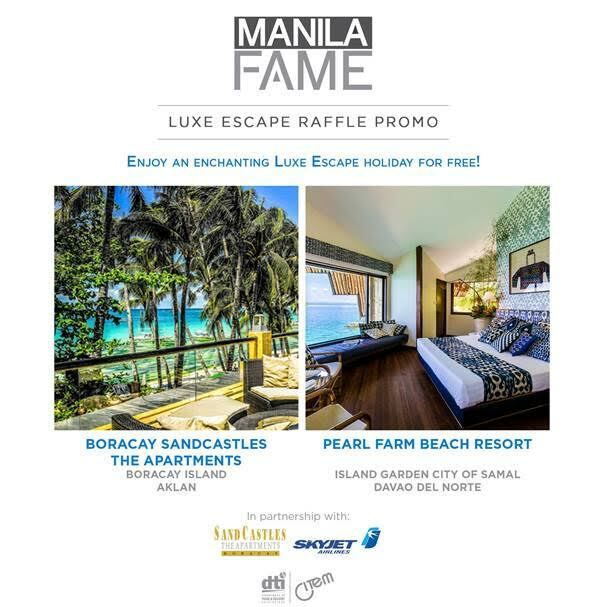 What I admire the most about your blog is you give the little towns and destinations exposure and I also admire your courage to go for even those remote locations and get to share them with us. INGAT Palagi Edmar!!! And sayang yung pa-dam.. where's the decency in preserving significant sites such as that.. sayang! :/ But I am happy that the dam has clean water in it.. at least you, well preserved. I wanna visit the place. Awesome! Waaaaa eyesore talaga yung mga vandal! This is a nice place to visit.